Whether as a Volunteer or as a Host, when you sign up to WWOOF you play an integral role in strengthening a community that supports Australian organic farmers to make a living AND helps keen explorers to gain invaluable experience and make lifelong memories! All our Hosts are using organic farming methods, with many who are also biodynamic and using permaculture design as well. This is a growing industry in Australia but conditions are tough and farmers rely the support of WWOOFers to make their project viable! By becoming a WWOOFer you can directly help organics to flourish in Australia and be a part of the change toward sustainable agriculture, promoting environmental prosperity and food security for future generations. By signing up as a Host, you join a network of organic land carers who strengthen awareness and knowledge in the industry by sharing your experience and skills in an exchange that goes far beyond a normal work arrangement. And we mean local! The WWOOF office is not located on the 10th floor of a high rise in the city, it’s out on the land in the Snowy River country of W Tree, situated amidst some of our oldest Host farms who continue to host WWOOFers today! In fact we’ve been here for 37 years! We’re a small team of real people, in a hand-built mud-brick office, ready to take your calls and make sure you get the most out of your WWOOFing experience! Australia is a vast continent, wide open spaces and living on the land is embedded in the Australian identity. Whether you live in Australia or you are here to travel, your experience of this country is not complete until you’ve seen life in the countryside. Fresh clean air, spectacular views and close encounters with wildlife is the daily experience in rural Australia. For WWOOFers, it’s a chance to live and breathe the authentic Australia. For Hosts, it’s an opportunity to share the splendor of the beautiful countryside that we often take for granted! For both, it is a wonderful way to exchange cultures and learn a lot about yourself and others! 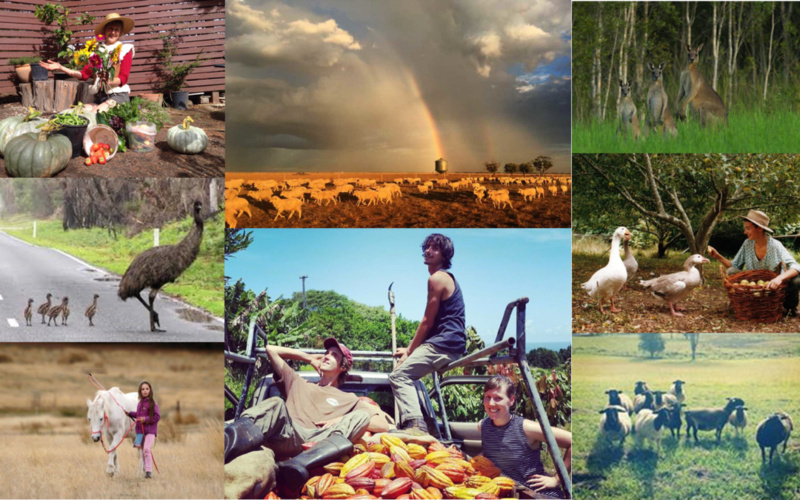 Join WWOOF today to be a part of a strong community that continues to share, learn and grow!